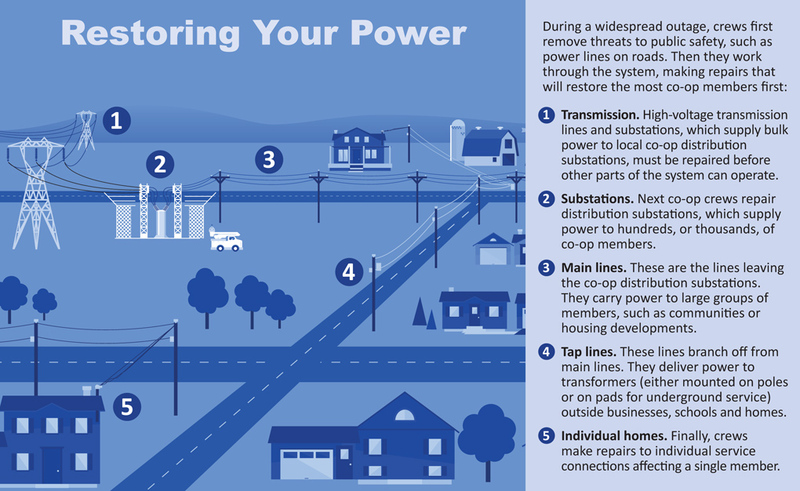 Stay Safe During an Outage and Around Power Lines! Store a manual can opener with enough nonperishable foods for 3 to 5 days. Canned meats, tuna fish and peanut butter are good foods to store. Don’t forget pet food! If your cell phone goes dead, do you have a land-line phone that will work even if the power is interrupted? Playing cards, books, drawing/writing supplies and board games help pass the time. If you have a charged video camera, your family can make a storm documentary. 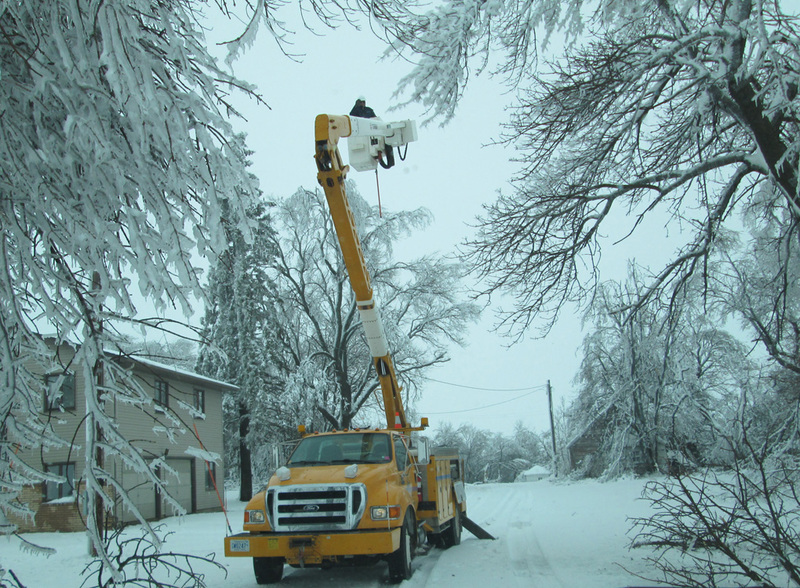 Whether you are playing outdoors with your children or working on landscaping projects, keep a safe distance from power lines and other equipment your co-op uses to deliver electricity to your home. The only circumstance when you should consider leaving a car in contact with a downed power line is when the vehicle catches on fire. Open the door. Do not step out of the car. You may receive a shock. Instead, jump free of the car so that your body clears the vehicle before touching the ground. Once you clear the car, shuffle at least 50 feet away, with both feet on the ground. As in all power line related emergencies, call for help immediately by dialing 911 or call Federated at 847-3520, 728-8366 or 1-800-321-3520. When using gasoline- and diesel-powered portable generators to supply power to a building, switch the main breaker or fuse on the service panel to the "off" position prior to starting the generator. This will prevent power lines from being inadvertently energized by backfeed electrical energy from the generators; this helps protect utility line workers or other repair workers or people in neighboring buildings from possible electrocution. If the generator is plugged into a household circuit without turning the main breaker to the “off” position or removing the main fuse, the electrical current could reverse, go back through the circuit to the outside power grid, and energize power lines or electrical systems in other buildings to at or near their original voltage without the knowledge of utility or other workers. The problem of backfeed with electricity is a potential risk for line workers. Electrocutions are the fifth leading cause of all reported occupational deaths. Following these safety guidelines can reduce this risk. Generator use is also a major cause of carbon monoxide (CO) poisoning. Generators should only be used in well-ventilated areas — not inside the garage.